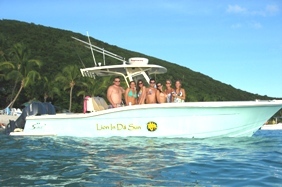 St. John Tour now offers many charter boat services. 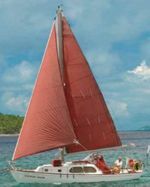 We have everything from sailing charters around St John USVI and British VI waters, to power boats, and snorkeling and scuba trips. 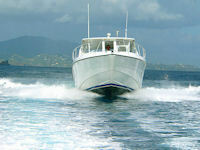 For more details about these charters on St. John, US Virgin Islands, click on any of the boats below. If you are planning a charter trip stopping in the BVI, you will need a passport. What a Powerboat! What a Beauty! Even though it is in CALIFORNIA, not ST JOHN! !